preview Richard Blanco’s Sensoria visit in video and through his verse. 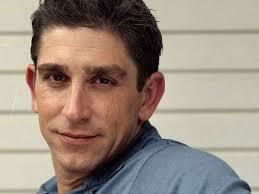 Richard Blanco embodies many significant firsts. Richard Blanco embodies many significant firsts. Speaking as President Obama’s Inaugural Poet in 2012, Richard Blanco became the first Latino, the first immigrant, and the first open LGBT person chosen for that important role. If you would like to share your story, please email Frankie Tack, Spectrum Advisor, at frankie.tack@cpcc.edu. This event is free and open to the public, and students, faculty and staff are all invited to submit stories to present. Please come! CPCC Spectrum is a club for LGBTQ students and their allies. The Spectrum Club was established to be a safe place for students of the LGBTQ community and their allies to collaborate with individuals from all walks of life. There is a focus on service as well as socializing. Our new “Let’s Have a Kiki! !” discussion sessions provide an opportunity for students to relax and discuss topics that impact the LGBTQ community. Meetings are every Friday at Worrell, Room 2126 at 12:15 p.m. The Spectrum Club was established to provide a sense of community and support for LGBTQ students and their allies at CPCC. Spectrum holds meetings twice monthly and other social events to give students a chance to meet new friends in a safe, positive environment. Spectrum also promotes giving back to the community through service and outreach projects. Spectrum values diversity and welcomes any CPCC student who would like to be a part of a great club. Come out and see what we’re about as we discuss service initiatives for the remainder of the year and participation in Spring Fest! When: Monday, April 2; 12:30 p.m.